Methylcobalamin is the active, coenzyme form of Vitamin B12. While the body can readily absorb Vitamin B12 as cobalamin, it must further convert it to a coenzyme form, methylcobalamin, to become metabolically active. In this form, it is bioidentical to the predominant and active form found in the body. The �body-ready� Vitamin B12 in this formula is offered in a convenient nugget dosage form which is also suitable for vegetarians. Niacin (Vitamin B3) is a water-soluble vitamin and is part of the B Complex. It is required for the metabolism of carbohydrates and protein into energy. Niacin also supports cardiovascular health, promotes increased blood flow, and supports the health of the nervous system. Vitamin B6 is part of the group of essential nutrients known as the B Complex. B Complex vitamins, including B6, work to support and promote energy metabolism in the body. B6 helps maintain healthy nervous system and brain function. Along with folic acid and B12, B6 promotes heart health by supporting healthy levels of homocysteine. It also plays an integral role in the production of red blood cells. Vitamin B12 is part of a group of essential nutrients known as the B Complex. It supports energy metabolism and promotes a healthy nervous system. Along with Folic Acid and Vitamin B6, it supports heart health by promoting healthy levels of homocysteine. B12 is required for the normal development and regeneration of red blood cells, which help to deliver oxygen throughout the body. In addition, B12 is involved in DNA synthesis and renewal. Vitamin B12 is part of a group of essential nutrients known as the B Complex. It supports energy metabolism and promotes a healthy nervous system. Along with Folic Acid and Vitamin B6, it supports heart health by promoting healthy levels of homocysteine. B12 is required for the normal development and regeneration of red blood cells, which help to deliver oxygen throughout the body. In addition, B12 is involved in DNA synthesis and renewal. B Complex vitamins are needed for the metabolism of carbohydrates, fats and proteins, which convert food into energy. Niacin (Vitamin B3) is a water-soluble vitamin and is part of the B Complex. It is required for the metabolism of carbohydrates and protein into energy. Niacin also supports cardiovascular health, promotes increased blood flow, and supports the health of the nervous system. Vitamin B6 is part of the group of essential nutrients known as the B Complex. B Complex vitamins, including B6, work to support and promote energy metabolism in the body. B6 helps maintain healthy nervous system and brain function. Along with folic acid and B12, B6 promotes heart health by supporting healthy levels of homocysteine. It also plays an integral role in the production of red blood cells. Biotin is a water-soluble B-vitamin. It helps to promote healthy skin, nails and hair, and is necessary for certain enzymes to work properly. Biotin also supports energy production in the body, and is required for protein, carbohydrate, and fat metabolism. Niacin (Vitamin B3) is a water-soluble vitamin and is part of the B Complex. It is required for the metabolism of carbohydrates and protein into energy. Niacin also supports cardiovascular health, promotes increased blood flow, and supports the health of the nervous system. Vitamin B6 is part of the group of essential nutrients known as the B Complex. B Complex vitamins, including B6, work to support and promote energy metabolism in the body. B6 helps maintain healthy nervous system and brain function. Along with folic acid and B12, B6 promotes heart health by supporting healthy levels of homocysteine. It also plays an integral role in the production of red blood cells. Inositol is considered a B Factor related to the B Complex vitamins. It is a primary component of cellular membranes and plays an important role in healthy cell function. It is also a component of lecithin. Magnesium helps to regulate calcium transport and absorption. By stimulating the secretion of calcitonin, it aids the influx of calcium into bone and promotes optimal bone mineralization. Along with ATP, magnesium supports cellular energy production. It also promotes nerve and muscle function. This formulation offers Vitamin B6 to support the assimilation and activity of magnesium in the body. Niacinamide, a form of Vitamin B3, is a water-soluble vitamin and is part of the B Complex. It is required for the metabolism of carbohydrates and protein into energy. Niacinamide also supports cardiovascular health, promotes increased blood flow, and supports the health of the nervous system. Vitamin B2 (Riboflavin), is part of the group of essential nutrients known as the B Complex. B Complex vitamins, including Vitamin B2, work to support and promote energy metabolism in the body. Vitamin B2 is necessary for normal cell function, and helps to maintain a healthy nervous system, vision, skin and hair. It helps the body convert carbohydrates, fats and proteins into energy and supports the body during the stress of daily living. This formulation offers essential B2 in a convenient vegetarian dosage form. Vitamin B12 is part of a group of essential nutrients known as the B Complex. It supports energy metabolism and promotes a healthy nervous system. Along with Folic Acid and Vitamin B6, it supports heart health by promoting healthy levels of homocysteine. B12 is required for the normal development and regeneration of red blood cells, which help to deliver oxygen throughout the body. In addition, B12 is involved in DNA synthesis and renewal. Methylcobalamin is the active, coenzyme form of Vitamin B12. While the body can readily absorb Vitamin B12 as cobalamin, it must further convert it to a coenzyme form, methylcobalamin, to become metabolically active. In this form, it is bioidentical to the predominant and active form found in the body. 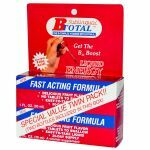 The �body-ready� Vitamin B12 in this formula is offered in a convenient nugget dosage form which is also suitable for vegetarians. Vitamin B6 is part of the group of essential nutrients known as the B Complex. B Complex vitamins, including B6, work to support and promote energy metabolism in the body. B6 helps maintain healthy nervous system and brain function. Along with folic acid and B12, B6 promotes heart health by supporting healthy levels of homocysteine. It also plays an integral role in the production of red blood cells. Biotin is a water-soluble B-vitamin. It helps to promote healthy skin, nails and hair, and is necessary for certain enzymes to work properly. Biotin also supports energy production in the body, and is required for protein, carbohydrate, and fat metabolism. Vitamin B12 is part of a group of essential nutrients known as the B Complex. It supports energy metabolism and promotes a healthy nervous system. Along with Folic Acid and Vitamin B6, it supports heart health by promoting healthy levels of homocysteine. B12 is required for the normal development and regeneration of red blood cells, which help to deliver oxygen throughout the body. In addition, B12 is involved in DNA synthesis and renewal. B Complex vitamins are needed for the metabolism of carbohydrates, fats and proteins, which convert food into energy. Methylcobalamin is the active, coenzyme form of Vitamin B12. While the body can readily absorb Vitamin B12 as cobalamin, it must further convert it to a coenzyme form, methylcobalamin, to become metabolically active. In this form, it is bioidentical to the predominant and active form found in the body. The �body-ready� Vitamin B12 in this formula is offered in a convenient nugget dosage form which is also suitable for vegetarians. Vitamin B2 (Riboflavin), is part of the group of essential nutrients known as the B Complex. B Complex vitamins, including Vitamin B2, work to support and promote energy metabolism in the body. Vitamin B2 is necessary for normal cell function, and helps to maintain a healthy nervous system, vision, skin and hair. It helps the body convert carbohydrates, fats and proteins into energy and supports the body during the stress of daily living. This formulation offers essential B2 in a convenient vegetarian dosage form. B Complex vitamins are needed for the metabolism of carbohydrates, fats and proteins, which convert food into energy. B Complex vitamins are needed for the metabolism of carbohydrates, fats and proteins, which convert food into energy. The B-vitamins help you make serotonin, energy, and new cells, while helping you to process kidney stones and gout more quickly.